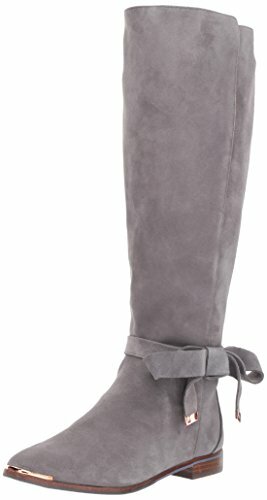 Form fitting knee high boot in soft suede with elastic fitting at the back and an inside zip for ease. With ankle strap detail and a soft suede bow with branded metal ends. Ortholite padding under the sock and a durable rubber/resin sole.